Seasoned firewood has been allowed to dry after being cut and split, usually for about six months. Freshly cut firewood contains a huge amount of water, so instead of burning and putting off heat, your fire’s energy goes to boiling off all that water. In addition to not putting off much heat, unseasoned wood can cause creosote buildup in your chimney, which can lead to a chimney fire. 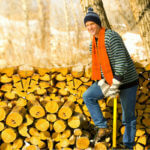 Seasoned firewood burns hotter and with less smoke than unseasoned wood, so you have a more efficient fireplace. A fireback is a large piece of metal that sits behind your fire. 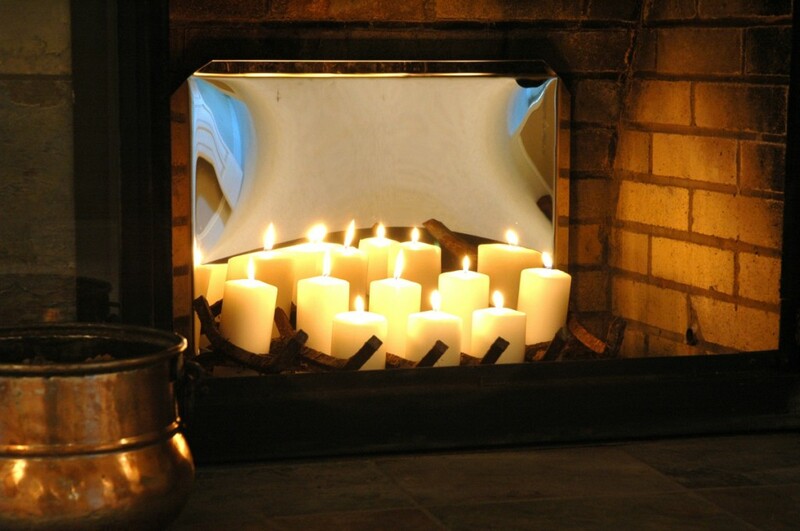 Traditionally made of heavy cast iron, firebacks absorb heat from the fire and then radiate it into the room. Stainless steel firebacks give a modern flair to the traditional design. Not only do the stainless steel firebacks reflect heat into the room, but they also reflect the light from the fire. Click here to browse a selection of cast iron and stainless steel firebacks. Stainless Steel Firebacks reflect both heat and light back into the room. While a top-sealing damper will not help your fireplace put off more heat, it will save tremendous amounts of energy and money whenever your fireplace is not in use. Old, iron throat dampers rust and warp, causing them to leak, allowing hot air up your chimney. Top-sealing dampers, like the Lyemance Damper, are made out of cast aluminum and use a high-temperature silicone to make an air-tight seal. 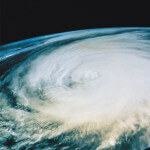 A top-sealing damper can pay for itself in under a year through energy savings. 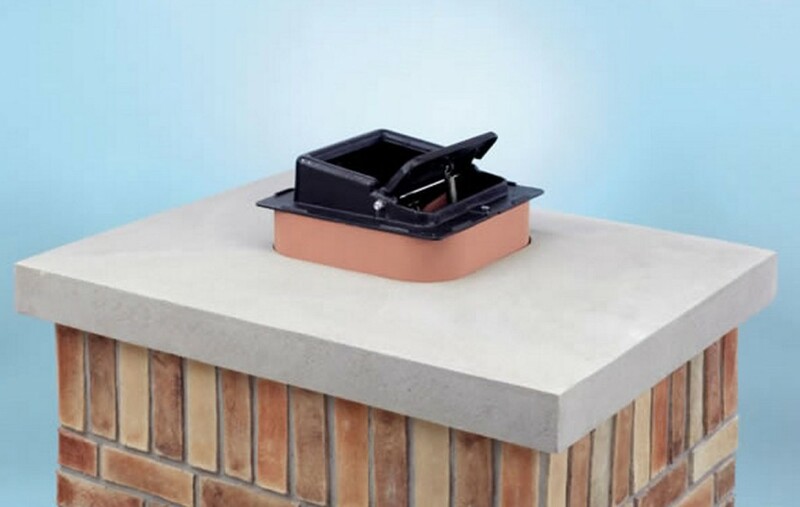 Click here to browse Premeier, Lock Top and Lyemance top-sealing Dampers with chimney caps. Last updated by Tom at July 31, 2016 . I am aware that a fireplace sends quite a bit of furnace heated air up the chimney. Is there an outside tempeature when the heat created by the fireplace does not supplement the heat loss going up the chimney? Is the fireplace more efficient with the glass doors shut? The last month I burned wood twice as ofter as usual but my heating cost went way up? I usally wait until the outside tempeature is above 40 degress and then burn a low fire for five hours. Hi Marvin, thanks for your comment. You should keep your glass doors open while the fire is burning to prevent the glass from breaking due to the heat. 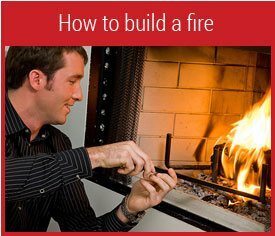 Once the fire has burned down to coals, however, you can close them to reduce the air flow up the chimney. For your question about when to burn a fire in relation to the outside temperature, we’ll do some research and post what we find here. My initial guess, however, is that it will depend on how drafty your house is. If your house is fairly tightly built, I feel like the outside temperature shouldn’t matter, but if the house is old and drafty, the outside temperature may make a difference. I’ll let you know what we find. Unfortunately we weren’t able to find any good information on when to burn in relation to the outside air, but we did find some more tips for getting more heat from your fire. Instead of a low fire, try burning a larger, hot fire. 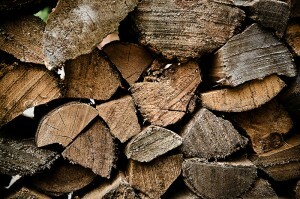 Wood burns more efficiently at higher temperatures. The hotter fire will draw more air, but the increased heat will compensate. 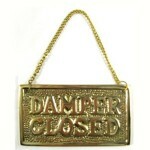 Close your damper soon after the fire has gone out. Many homeowners will keep their dampers open overnight after having a fire. Instead, allow your fire to burn down before going to bed and close the damper. We’ve also sent you an email with a link to our firebacks, which will help radiate more heat into your house. Good luck with your fireplace and let us know if you have any more questions. what is the diference between a fireplace and a wood stove? Wood stoves are typically made of steel or cast iron, with an enclosed firebox. They have adjustments for the airflow going into the firebox to easily control the burn rate. 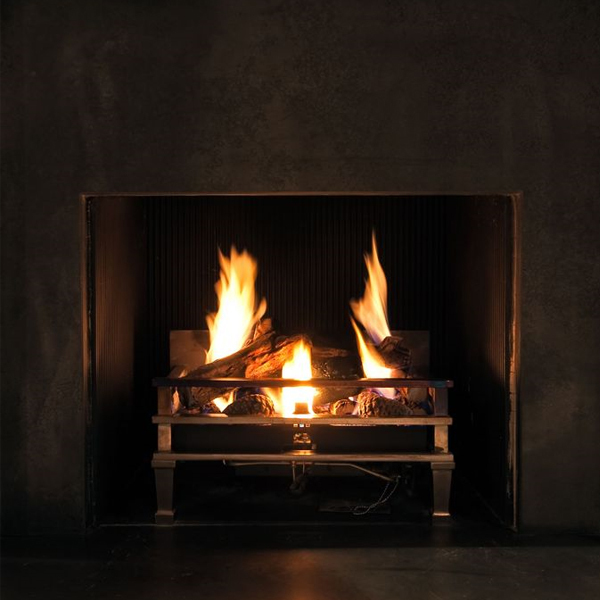 The enclosed firebox, air adjustments, and heavy metal construction help wood stoves radiate more heat than fireplaces. 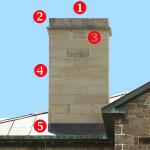 Fireplaces are often open in the front, with no air controls. 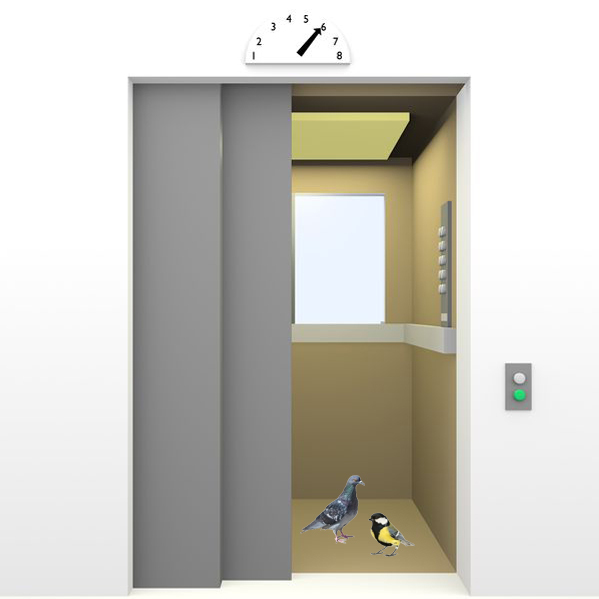 Some have glass doors, which provide minimal air control. Many people, myself included, find fireplaces to be superior in terms of aesthetics, since you can see, hear, and feel the fire directly. Wood stoves are better if heating is your primary goal. It just depends on what you want from your fire. I have an open fireplace in the property i have moved in to. There is a board at the back of the fire which, looks like it is made of plaster with wire mesh embedded, and has disintegrated and crumbled away. Should this happen? Can you tell me what the board at the back of the fire is called and if the crumbling should be happening? There seems to be a couple of these boards left. One has completely broken apart and thrown away. If the fire isn’t supposed to touch this back board, are there any solutions? I can upload photos if that helps. I can’t find any information on the internet as I don’t fully understand what it is I am looking for. Would be grateful of any information you can offer me. Hi Rachel, thanks for your question. We’ll send you an email shortly with details on a fireplace liner than should solve your problem. hi tom, i have a quick question. i moved in to a older farm house and the fireplace has a hole cut into the bottom, with a small metal door and grate.. the hole draws air from outside. my wife and i would like to know how to use this feature to our advantage. is it a benificial thing? i am interested in the fireback thing you wrote about. thank you for your time. Hi Justin, the small hole and door sounds like an ash trap, or ash dump. You can shovel your ashes into the hole, and then remove them from the outside later after they’ve cooled. They can be a safe place to store hot ashes before spreading them on your garden, etc. If you’re in an older farm house, one of our cast iron firebacks would likely work really well with your decor. They come in a number of designs. Click here to see the cast iron firebacks.